It was a breezy, beautiful fall day for SoFAB's second Cirque de Cuisine: Kitchen Tour. This year we had the pleasure of visiting the French Quarter, which itself was an integral part of the tour. The houses and their respective kitchens ranged from modern to classic, and it was a wonderful to see these usually utilitarian spaces highlighted. Guests enjoyed delicious bites of food from a delightful array of restaurants, including Purloo, Compère Lapin, Johnny Sanchez, Primitevo, Shaya, Cane & Table, eat, Salon by Sucré, Grand Isle, and Tableau. The hors-d'oeuvreswere complimented by generous samples of bubbly, white, and red wines, served by celebrity bartenders such as writers Tim McNally and Brenda Maitland, SoFAB's own Jyl Benson, Patrick Van Hoorebeek from Patrick's Bar Vin, and Rick Normand. We hope all of our attendees walked away with some new inspiration for their own kitchens! 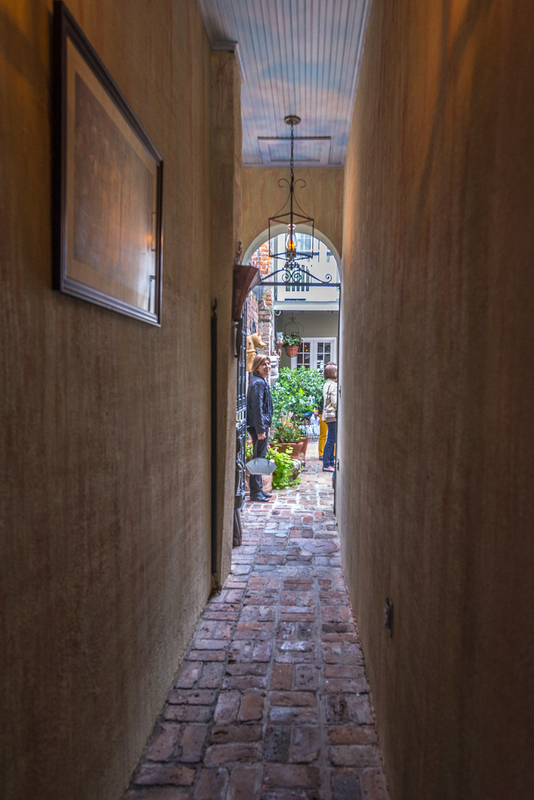 It was great fun to explore behind the normally mysterious French Quarter walls, into the private courtyards and balconies, to see the heart of the homes. Many thanks to the homeowners that so generously opened up their doors to SoFAB's supporters and allowed us to explore your ovens and sinks. Special thanks to the chefs that were able to step out of their own busy kitchens to share their dishes in other homes, and to our volunteers who fearlessly guided patrons through elevators and narrow entryways. We hope to see everyone at our next tour!